Fashion Friday: how did I ever live without these pants? I am probably almost the furthest one can get from being a fashionista. I do own clothes purchased in normal retail stores during this decade, even this year, and I have been known — on occasion — to clean up fairly well and don an outfit that was actually stylish. But for the most part, I’m oblivious to style trends, and dress mostly in what I prefer to wear. Oh, and I don’t dress age-appropriately. Do You Wear Clothes From the Last Decade? Do You Still Dress Like You Did in College? So this is the worst place to come for actual fashion advice. Hiking pants are ridiculously expensive. Either I have large thighs (which I do) or women hikers all have thin thighs or the fashion trend in hiking pants is to be tight to the point of impracticality. 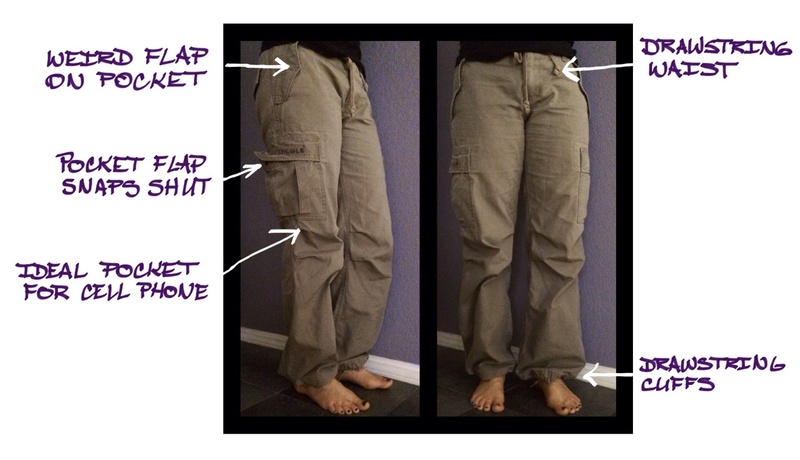 Too many hiking pants are made of techie fabrics I find hot and uncomfortable. These are so roomy, practical, and comfy that I am tempted to have them replace jeans as my wardrobe staple…but that might be venturing too far into fashion no-no land even for me. What guilty pleasures lurk in your wardrobe? This entry was posted in Fashionless Friday by rrprewett. Bookmark the permalink.